About – Coming Soon to a Lake near you !!! 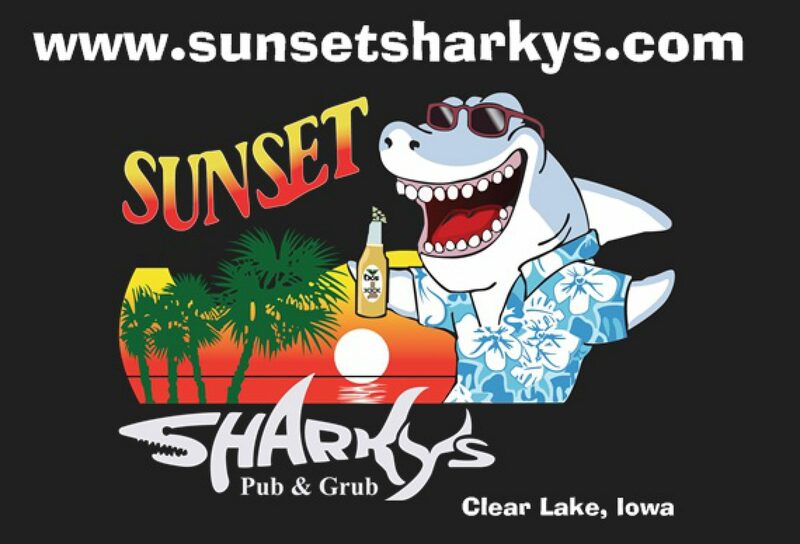 Sunset Sharkys is a New Pub in Clear Lake which was previously “The Famous Elly’s Lakefront Lounge” who over the years gave Clear Lake a relaxed atmosphere place to meet friends & family and enjoy the Lake with a cold drink or BITE to eat !!! Ellys gave you a Buddy Holly, Big Bopper, and Ritchie Valens theme bar that always went hand in hand with the Legendary Surf Ballroom Events during the Winter months. Keeping the Tradition, We will always have a special place for these Rock Legends and still keep a wall and memorabilia designated for these 3 guys who gave Rock-n-Roll Music what it is Today !!! Cinda and I always fell in love with Clear Lake Sunsets and wanted to bring the Tropics to Iowa with a Margaritaville feel of being on a Cruise or on the Islands bathing in the sun with an Umbrella drink in hand on Kokomo Beach… So we took that “State of Mind” and Renovated this Classy Bar…. Come and See for yourself !! Look for the Shark out front and stop in and have a cold one …. to see all the Events happening that week or Spur of the Moment ! !